On behalf of FSWidgets we’re pleased to inform you about their new release …. 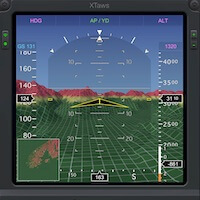 XTaws for Windows is an advanced simulated TAWS (Terrain Awareness Warning System) and PFD (Primary Flight Display) avionics app, designed exclusively for X-Plane 11 or 10 (64 bit only). It displays a synthetic colour-coded 2D/3D image of approaching terrain with visual and aural warnings of imminent collision, as determined by continual FLTA (Forward Looking Terrain Avoidance). Unlike a traditional panel gauge, XTaws is a standalone app which runs as a separate process and can be used with any aircraft model. The terrain data is read directly from X-Plane, so no need for a separate local or online terrain database! It can also be run on one platform with the simulator on a different platform (e.g. 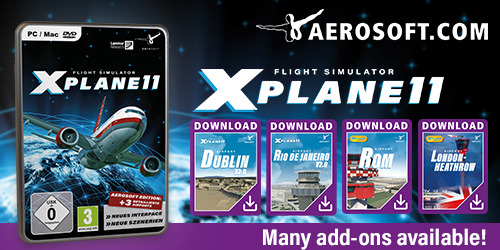 X-Plane running on Mac, XTaws running on Windows, etc. ), offloading the work and screen space to a spare desktop or laptop. Check out full details, screenshots and grab the free demo via this link. Note: Mac edition coming soon!